Sam Elliott stars in this strange but somehow interesting look at a man named Calvin Barr who has had some remarkable experiences in his life Barr and is troubled by his past, but is also trying to get through his life today as an aging senior. 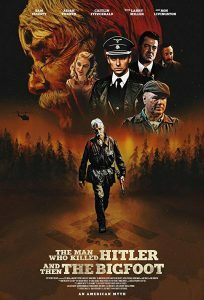 The Man Who Killed Hitler and then The Bigfoot is a concoction of sci-fi, history, drama, and myth. Aidan Turner plays Calvin when he was a younger man. He went off to do his part in World War II leaving his girlfriend (Caitlin FitzGerald) behind. Calvin never expected his part in the war was to kill Hitler, but nevertheless that is what he did. He was an excellent tracker and although Hitler had several duplicates for his own safety, Calvin managed to locate the real menace and kill him, which is something that has haunted him his entire life. Now the FBI (Ron Livingston) enters his life and asks him to help his country and the world once again. Bigfoot is real and is carrying a virus that will eventually kill the population. But somehow Calvin is immune and knowing he is a good tracker, he is tasked with hunting down this creature and killing him – once again to save the world. Is this a far-fetched story? Absolutely. But somehow Elliott makes it a movie that you stick with instead of turning and walking out. He is a loveable fellow as Calvin, a man with integrity and honor.The casting of Turner as young Calvin was a great feat as he looks and acts the same way as Elliott. While this is a slow-moving story with an interesting main character, the story itself is something that will have viewers thinking. Yes, we know Hitler had duplicates and Calvin alludes to the others from historical accounts. And countless sightings of Bigfoot have been reported. Combining these into one story and adding the part about a virus that could wipe out humanity as we know it is a lot to ask for one movie. The saving grace is Sam Elliott. After all, he is the reason why viewers will go see the film. And he doesn’t disappoint. 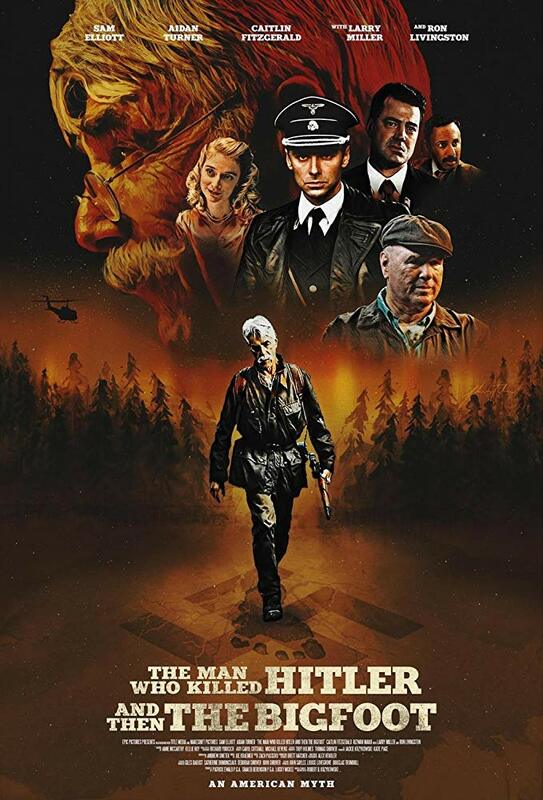 The Man Who Killed Hitler and then the Bigfoot opens in theaters February 8, 2019. It is not rated but it’s not for kids.